Now busy home cooks can bring the fantastic flavors of Thai cuisine into the kitchen with a simple trip to the grocery store. 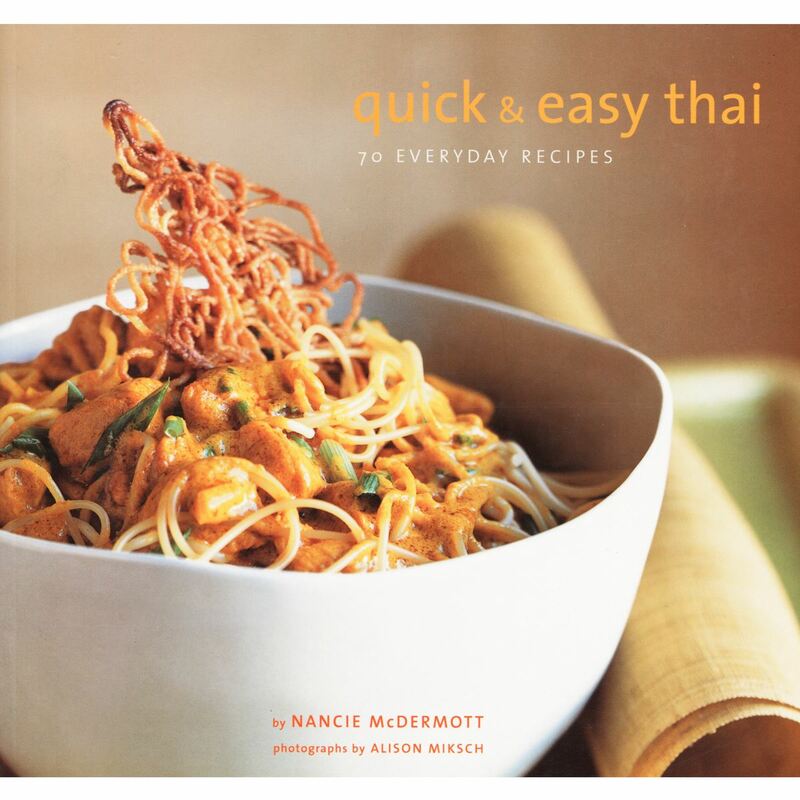 Nancie McDermott, experienced cook, teacher, and author of the best-selling cookbook Real Thai, presents this collection of 70 delicious recipes that focus on easy-to-find ingredients and quick cooking methods to whip up traditional Thai. With recipes like Crying Tiger Grilled Beef, Grilled Shrimp and Scallops with Lemongrass, Sticky Rice with Mangoes, and Thai Iced Tea, along with McDermotts highly practical array of shortcuts, substitutions, and timesaving techniques, anyone can prepare home-cooked authentic Thai meals -- as often as they like.